Five years ago, School already appeared on this blog, but this single predates that one, and it's now part of my collection as well. The song was never officially released as a single when it was released on the album 'Crime of the century' in 1974. It turns out that it was released as a single almost a decade later: this single was made in 1983, after the success of their album 'Famous last words' and the single 'It's raining again'. This was while the band was - probably - still under contract with A&M Records, and as such, this was released on the A&M label. 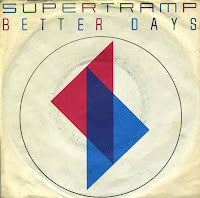 'Better days' was a single taken from Supertramp's 1985 album 'Brother where you bound'. It was their first album without Roger Hodgson. After the first single 'Cannonball' was a reasonable success, this second extract fared less well commercially. In 1982, Supertramp released their final album of the 'classic line-up' including Roger Hodgson, '...Famous Last Words...'. 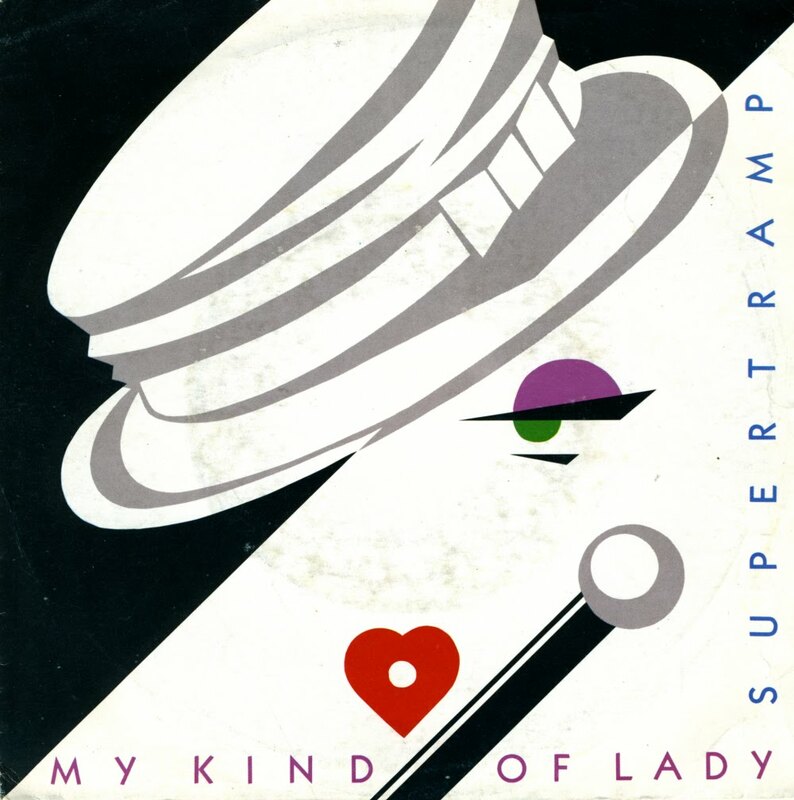 While the first single 'It's raining again' was a hit in several countries, its followup 'My kind of lady' disappeared without a trace in most territories. A worldwide tour followed in 1983. After the tour, Hodgson left the band. There was much speculation behind the reasons why Roger Hodgson left Supertramp. In an interview, Hodgson stated that the reason he left the band was to spend time with his two small children. He has stated that there were never any real personal or professional problems between him and Rick Davies as some people thought. Sometimes the reactions I get on this blog really amuse me. 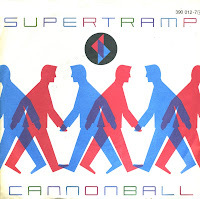 A recent entry on 'Cannonball' by Supertramp was reason enough for someone to start promoting Roger Hodgson, writing, 'If you want to see a REAL Supertramp concert, see Roger's show. (...) See the original voice of Supertramp and not an imitation.' 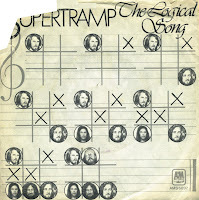 True enough, Roger Hodgson co-founded Supertramp, but he also left the group prematurely. Rick Davies was there when the group was founded as well. 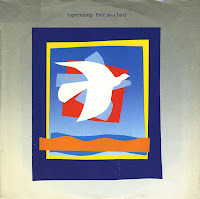 So when he sings 'Free as a bird' in 1988, after Hodgson's leaving the group, is that an imitation? I would think not. This is one of my favourite Supertramp tracks because of its widescreen sound and optimistic lyric. The single was not a commercial success, unfortunately. 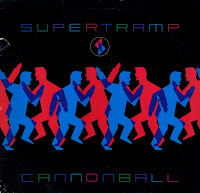 The lyric of the song 'Cannonball' by Supertramp may have been seen as a veiled message to former member Roger Hodgson - who left Supertramp a year before - but writer Rick Davies revealed in a French radio interview that the lyric to 'Cannonball' was inspired by a less than perfect concert promoter whom he refused to name but added that the guy knew who he was. The track was written and sung by keyboardist Rick Davies all in the chord of G. Davies stated in an interview 'I did it simply to see if it could be done'. The single reached number 28 in the US Billboard Hot 100 chart in the spring of 1985. In the Dutch Top 40, the single only got as far as number 35. 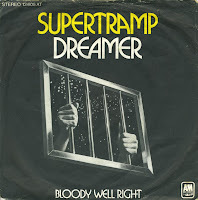 'Dreamer' was originally recorded in 1974 by Supertramp on their album 'Crime of the century'. Released as a single, it peaked at number 13 in the UK singles chart. 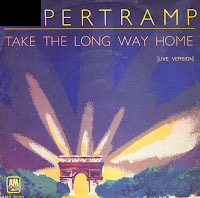 A live version, taken from the album 'Paris', was released in 1980. That live version reached number 15 in the US Billboard Hot 100 chart ad number 36 in the Dutch Top 40. Originally released on the album 'Breakfast in America' in 1979, a live version was recorded on the album 'Paris' a year later and released as a single. This single was not a commercial success, but it's a good version nonetheless. 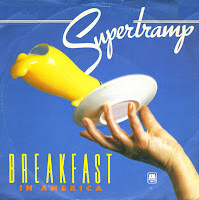 'Breakfast in America' was the title track of Supertramp's 1979 album. During the recording of this album, tensions between band members and main songwriters Rick Davies and Roger Hodgson were rising. Hodgson later commented: 'Rick didn't like the song 'Breakfast in America' and didn't want it on the album. He also didn't want the album to be titled 'Breakfast in America' either and I guess I won out on both accounts'. When released as a single, 'Breakfast in America' became a big hit in various countries. It reached number 9 in the UK singles chart and number 16 in the Dutch Top 40. 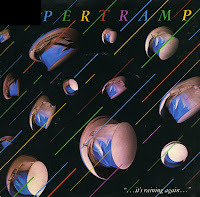 'It's raining again' was released as the first single from Supertramp's 1982 album 'Famous last words', an album that marked the end of an era. As relations between Roger Hodgson and Rick Davies, the main songwriters of the band, became more strained, they fought over just about everything. Not long after this album's release, Roger Hodgson decided to leave the band. 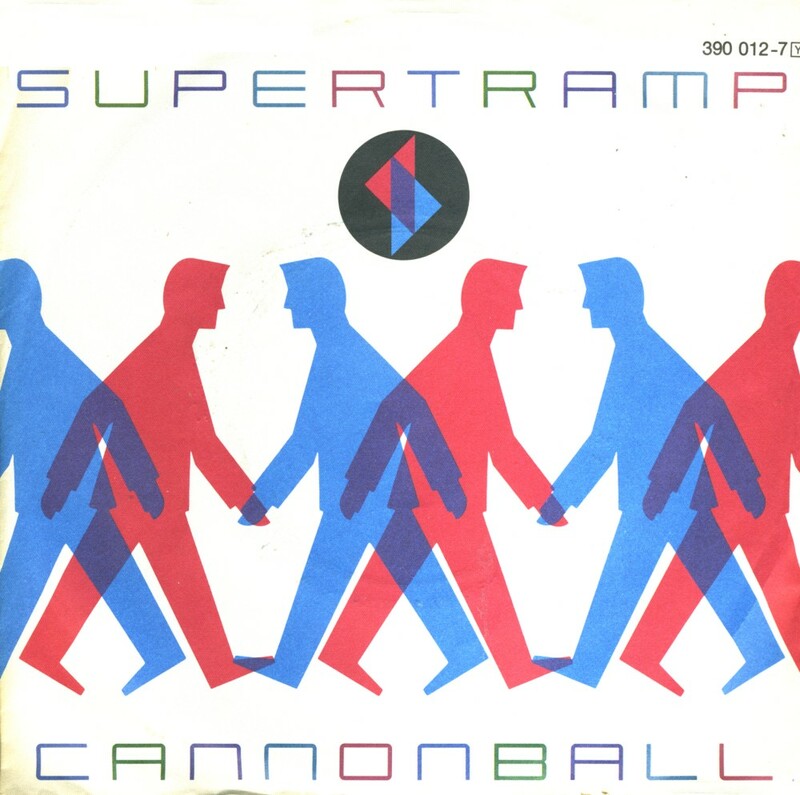 The single, meanwhile, was a good success for Supertramp, reaching number 26 in the UK singles chart and number 6 in the Dutch Top 40. 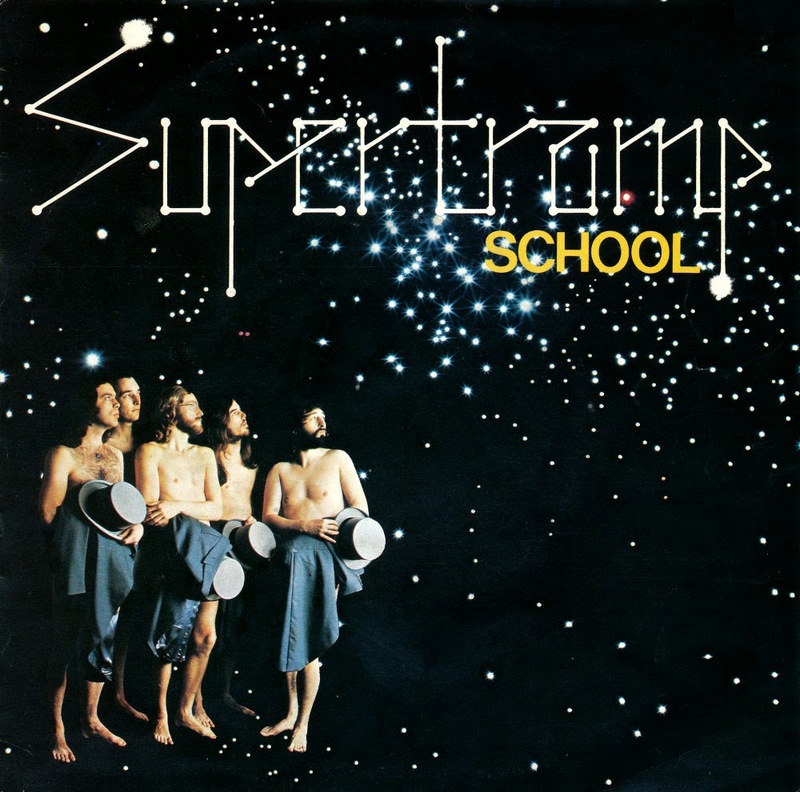 'The logical song' by Supertramp is a 'story of innocence and idealism lost' with Hodgson condemning an education system not focused on knowledge and sensitivity. It was recorded as a track on Supertramp's 1979 album 'Breakfast in America'. When the song was released as a single it reached number 7 in the UK singles chart and number 6 in the US Billboard Hot 100 chart. In the Dutch Top 40, 'The logical song' reached number 20. 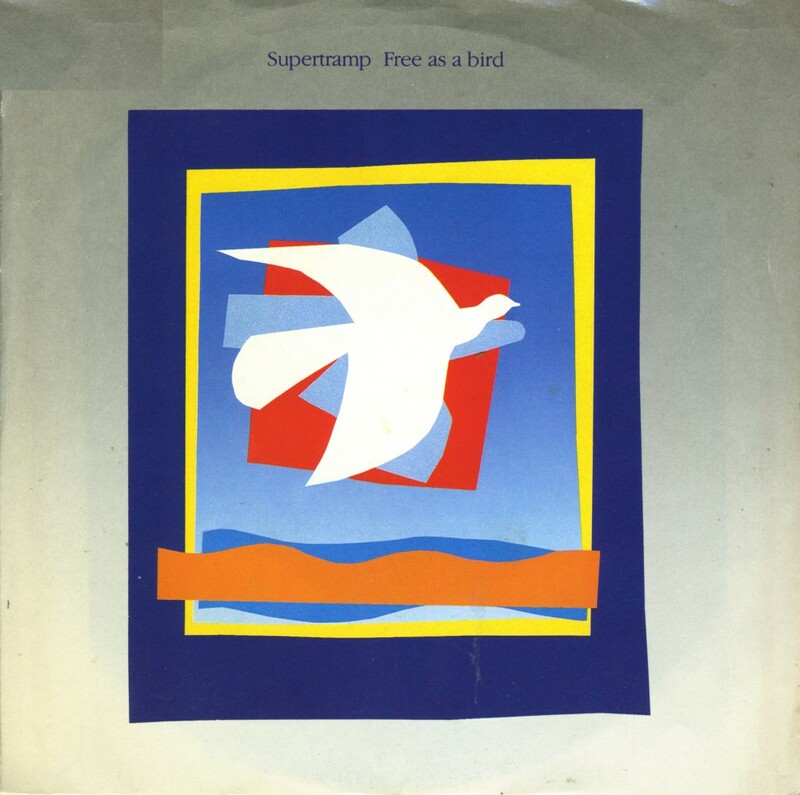 Supertramp released one of their best albums in 1977 with 'Even in the quietest moments'. 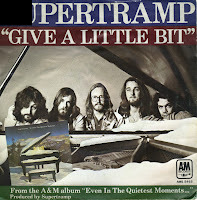 'Give a little bit' was the opening track on the album, and also released as the first single from the album. Writing credits for the song were given to Rick Davies and Roger Hodgson, members of the band, although it really is a Hodgson composition. The single reached number 29 in the UK singles chart and number 2 in the Dutch Top 40. For some strange reason, the track 'School' from Supertramp's 1974 album 'Crime of the century' was never released as a single. It achieved a cult status in the Netherlands, as it appeared in Radio Veronica's Top 100 of all times every year. 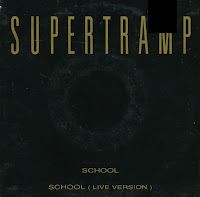 When the Dutch record company Arcade released a compilation album of Supertramp tracks in 1989, they decided to release 'School' as a single. It proved to be a good idea: the single reached number 33 in the Dutch Top 40. At the time, I only bought the cd-single. Now I've found the 7" single that was released back then as well. Without Roger Hodgson, but with a reputation that was very good, Supertramp soldiered on after 1983. Rick Davies took over lead vocals, and the 1985 album 'Brother where you bound' was promoted with the first single 'Cannonball'. On the album and on thie 12" single, the track lasted for well over 7 minutes, whereas the 7" single contained an edit. Impressive also is the 10 minute instrumental version on the B-side of this 12" single. 'Goodbye stranger' is a single taken from Supertramp's 1979 album 'Breakfast in America'. The single reached number 57 in the UK singles chart. 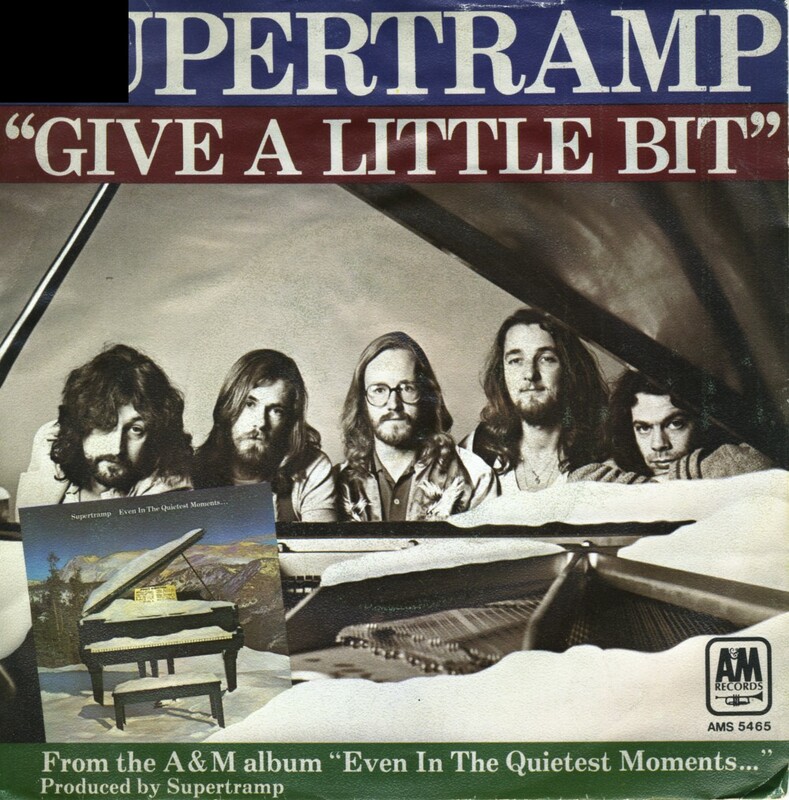 The B-side of the single is the title track of Supertramp's previous album, 'Even in the quietest moments'. It's always a bit of a shock when you buy a single and it turns out to be so faulty you can't even play it. This single is so crooked that frankly I'm amazed the shop dared to ask 50p for it. Oh well, you win some, you lose some.